law firms and their clients. 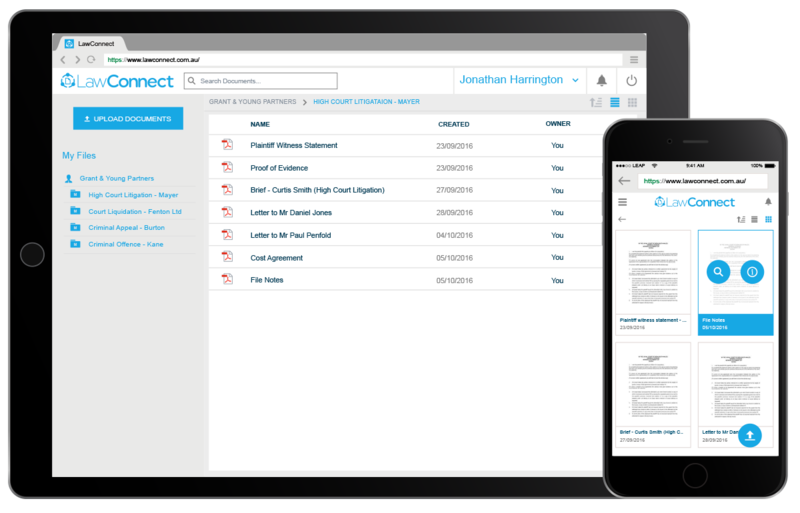 It seamlessly integrates with LEAP practice management software. 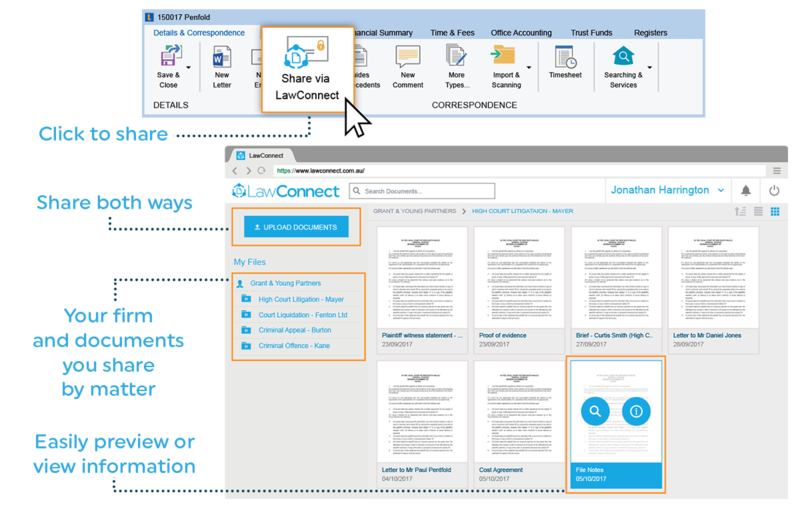 You can sign in to LawConnect and view, collaborate and share your documents from anywhere in the world, at anytime, whether you’re on a computer or mobile device. Signing in to LawConnect is simple and quick – just use your Facebook, LinkedIn or Google accounts. Share files directly from the matter in LEAP. Access your documents anywhere, at anytime. 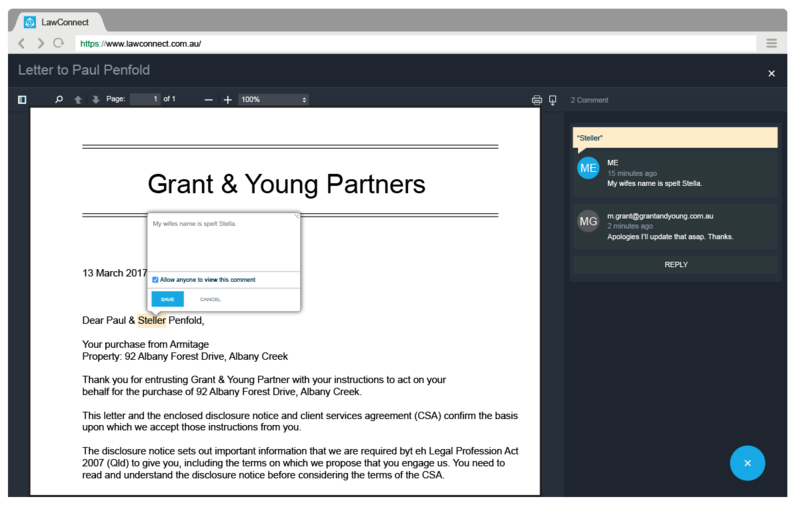 Comment and reply in real-time on shared documents. Book your obligation free demonstration online today or call us for more information 1300 607 625.